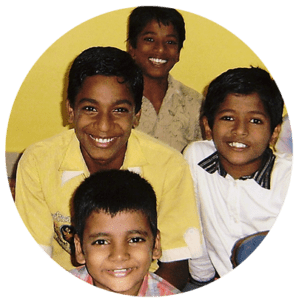 Anglo-Indian Concern (AIC) is a Christian charity. It supports disadvantaged Anglo-Indians in Chennai, South India, working alongside the Vine Charitable Trust (VCT). This is a holistic ministry, seeking to demonstrate God’s love in practical ways and by encouraging, advising, guiding and praying for those in need. AIC was started in 1988 by Tom and Rachel Thurley and registered in England in 1993. The VCT team is led by Grace Shrimpton together with a trained social worker, John Dhanaraj. Their aim is to create self-supporting families. The disadvantaged people they help may be single parents or in low-paid work. By paying school fees, they enable many children and young people to remain in education and achieve their full potential. In turn, these students can take up better paid jobs and support their own families in the future. Approximately 85 children and 20 students are supported in this way. Food allowances are also paid to those in greatest need. 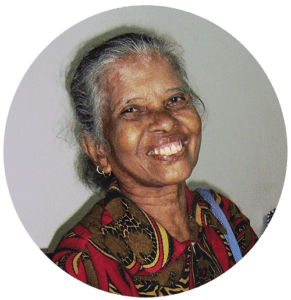 Monthly pensions are given to approximately 100 elderly Anglo-Indians who are unable to support themselves. Assistance with medical expenses and nutrition is also provided when needed. The AIC charity is supported by individuals, Anglo-Indian groups and churches (including Godmanchester Baptist Church). Supporters receive a newsletter twice a year and those who have individual sponsorships also receive reports on their sponsored child.